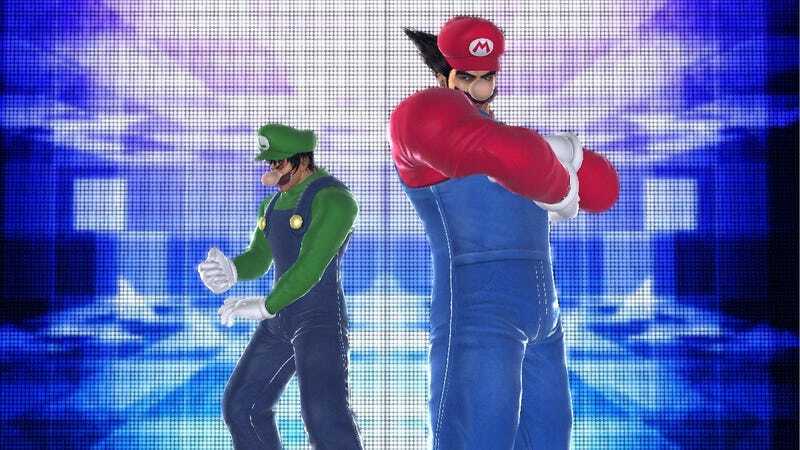 Unless you're planning on adding an external hard drive to your Wii U—either model—it would make almost zero sense to get the downloadable version of Tekken Tag Tournament 2, and that's even if a North American digital release gets the discount that the Japanese eShop is going to offer. Tekken Tag Tournament 2 clocks in at 16.7 gigabytes. I get that Internet bandwidth is on the whole a lot better in developed countries not named "the United States" but that just sounds insane. Especially as it is more than half of the 32 GB capacity of the Wii U deluxe set. I can't fathom giving over half of a hard drive to a single game, and the decision to accept this digital download on the eShop also is bizarre as it underlines just how small that console's drive is. I mean, that's an eighth generation console. The Japan eShop will sell Tekken Tag Tournament 2 for ¥6,280, as opposed to the ¥6,980 the game's retail version costs (it's about a $10 difference). No word yet from Nintendo of America on pricing or availability, but the game is confirmed as a Nov. 18 launch title for Wii U over here. UPDATE from Stephen: While Owen is making a sound point here about the Wii U's tiny internal storage, I want to note that the Wii U's support of external drives is actually part of their game-download pitch. Nintendo executives have been explicit in saying that they expect consumers to download content to drives that are connected to the system's USB ports. What's not clear is if games downloaded to those drives will boot from those drives. If they don't, then a game like Tekken here could be stored on a fat USB stick but would still have to be transferred into the Wii U's internal memory to run—that's how Nintendo has handled it for WiiWare games that are saved to SD cards. We'll know more clearly how this kind of thing works in November, when we have a Wii U to put through its paces. But, yes, internal storage for the Wii U is limited. You can't say we didn't warn you!